Water landscapes, wildlife, and more from the Mississippi Gulf Coast. 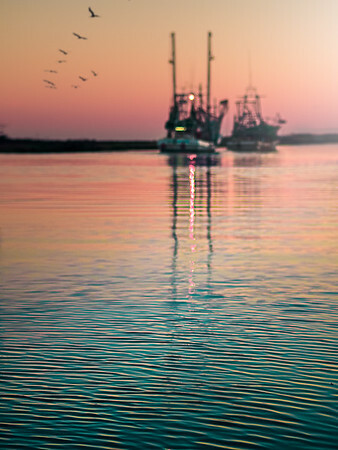 Two boats leave at sunset to begin the work "day" in Ocean Springs, Mississippi. 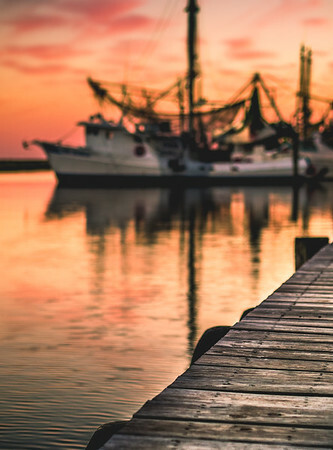 A shrimp boat prepares to leave the marina during sunset in Ocean Springs, Mississippi. Sunset on front beach in Ocean Springs, Mississippi. 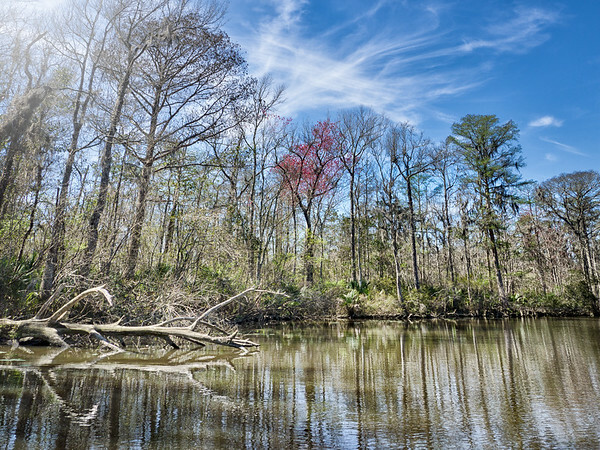 A lovely scene along the Pascagoula River in Mississippi. 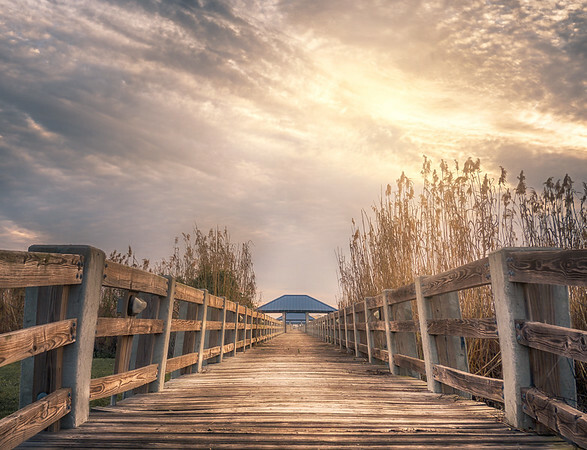 The setting sun breaks through the clouds, casting a glow on a pier in Ocean Springs, Mississippi. 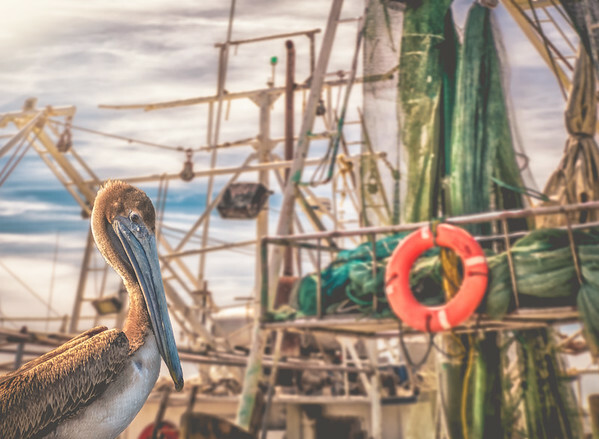 A pelican basks in the sun at Biloxi Harbor in Mississippi. 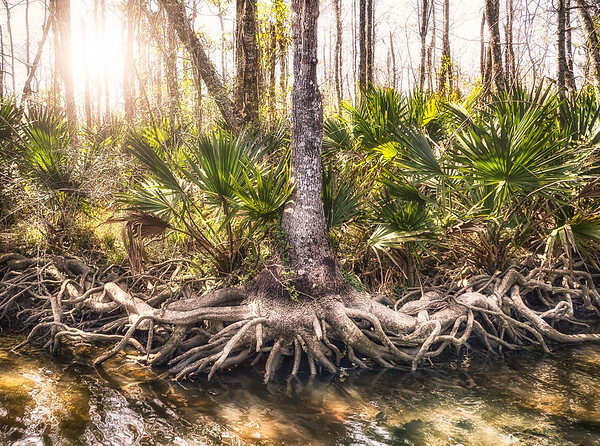 Cypress tree roots create intricate designs on the Pascagoula River in Mississippi. Ocean Springs, Mississippi during sunset. 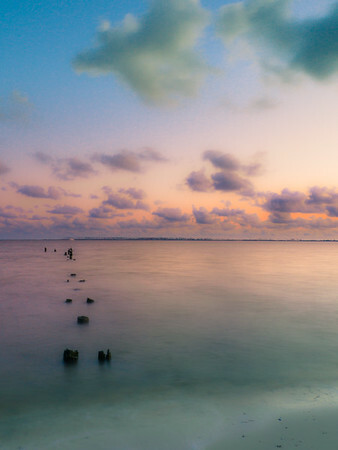 A panorama of a sunset in Ocean Springs, looking toward Biloxi, Mississippi. 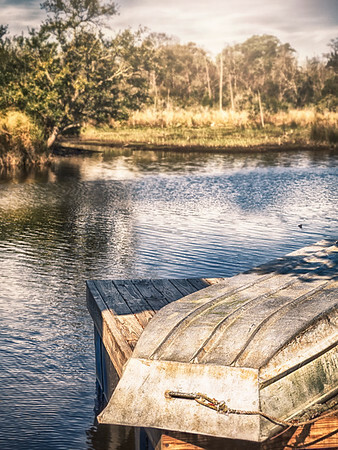 An overturned boat on a platform in Moss Point, Mississippi. 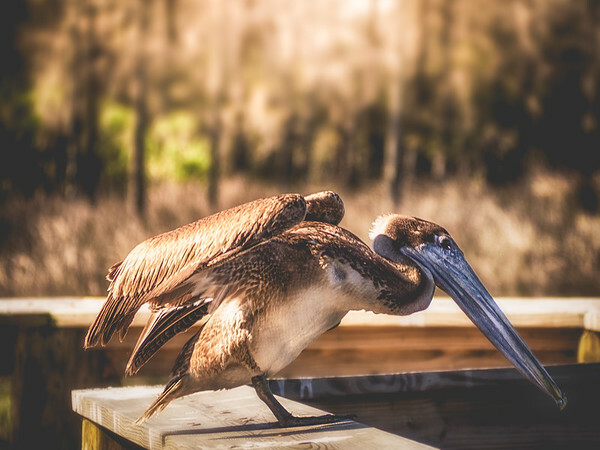 A pelican stretching in the sun in Moss Point, Mississippi. 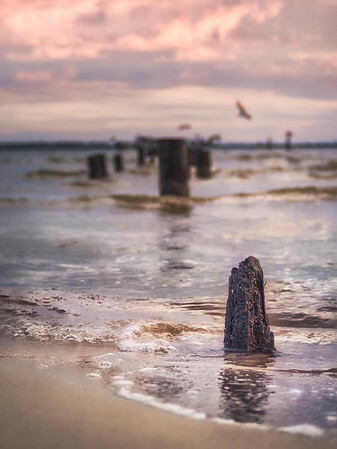 A log floats along the Pascagoula River in Mississippi. 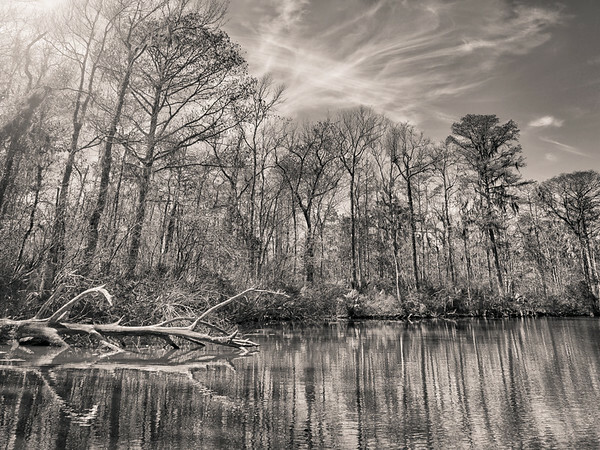 Clouds patterns appear over the Pascagoula River in Mississippi. 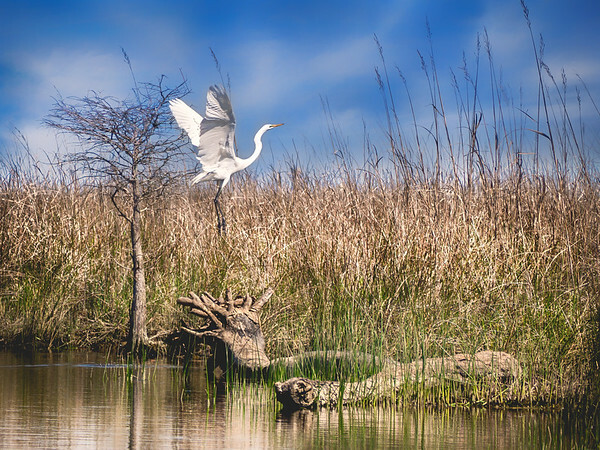 A Great Egret launches into flight along the Pascagoula River in Mississippi. 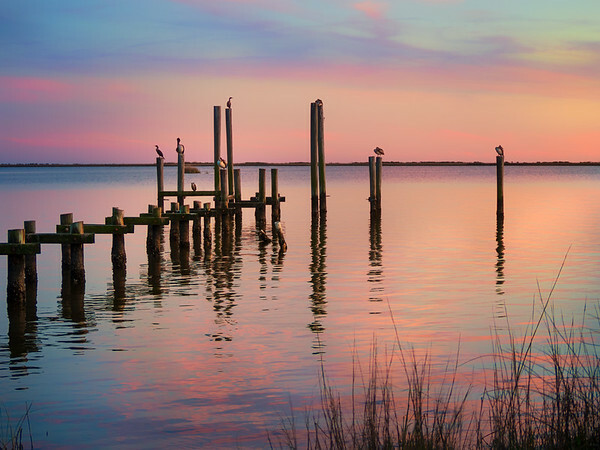 Pelicans and cormorants rest above colorful waters that reflect a candy-colored sunset in Ocean Springs, Mississippi. 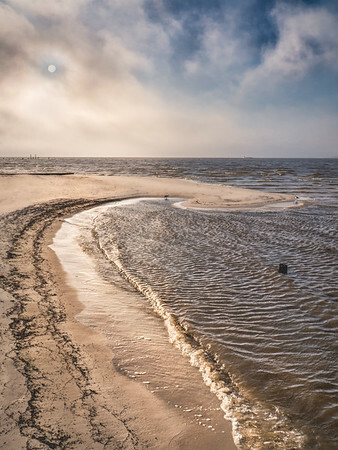 The morning sun creates a break in the heavy clouds and fog over a beach in Ocean Springs, Mississippi. 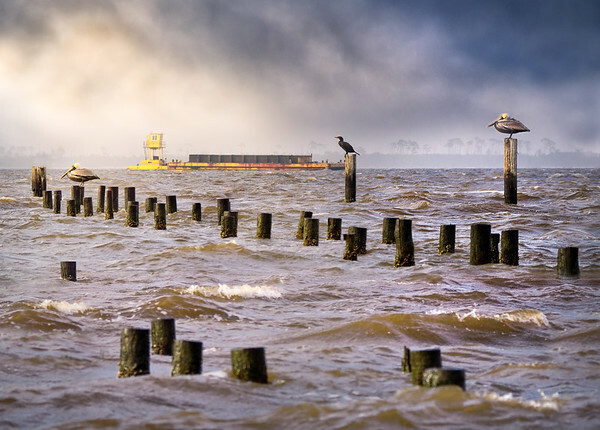 A barge passes by as a cormorant and two pelicans bask in the glow on a misty morning in Ocean Springs, Mississippi. 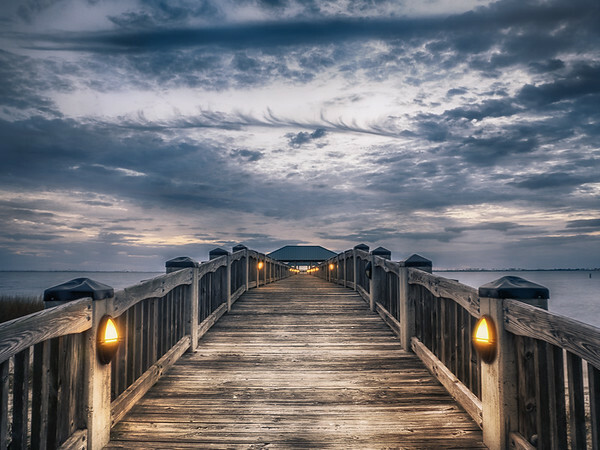 Chester M. McPhearson Jr. Pier at dusk in Ocean Springs, Mississippi.